We are Plank + Mill™. Our 100% Reclaimed Barn Wood is crafted by hand in Tulsa, OK. Plank and Mill’s™ Peel and Stick quality wood walls are the easiest and most cost effective way to transform your space and achieve a quality designer look that has commonly taken a lot of time and money to produce. Whether you are a professional designer or want to make your house a home and feel good doing it yourself, we know you will enjoy the way you can revamp any space; from the nook in your kitchen to your new baby’s nursery wall. The potential for projects is limitless and because we are just as excited as you are about your new timber wall project we will be here to help along the way posting new ideas and latest product styles to let YOU be the trendsetter. To Put it Simply: We are Tulsa’s Favorite House Painter. Since setting up shop in 2008, we have striven to give contractors a good name. We take our business seriously and have built it on the promise of superior service, constant contact, and amazing results. Satisfaction Guaranteed. Professional Painting Company prides itself on delivering exceptional quality work and maintaining the highest standards of customer service. Our motto "Treating your home like my own" is more than just words, it is an attitude we achieve on every job. We take quality to the extreme!!! Comercial and Residential Interior and exterior painting New construction, remodel or repaint. We specialize in 3D wall coverings for residential homes. Three dimensional walls create truly unique rooms that can bring your home to another level. Painting interior and exterior, commercial and residential. 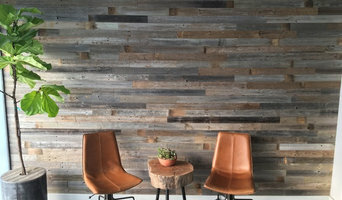 Vinta Wood™, brings you all natural, reclaimed wood plank wall covering that anybody can install. The "Barn Wood" trend is sweeping the country because of the texture and warmth that real, reclaimed wood brings to your home or office. Vinta Wood™ makes it easy for DIY'ers, designers and contractors to install. With our different wood finishes, custom accents pieces, and 3 EASY installation options, Vinta Wood™ has the right choice for you. Anchor Paint Manufacturing Company produces and supplies everything from quality Residential Paints to Industrial Durable Protective Coatings. We provide exceptional service by Paint Professionals starting before your project ever begins, with inspections, recommendations, custom formulas, and available delivery. Family-owned since 1962, Anchor Paint Manufacturing Company is still based in Tulsa, OK, with dealerships throughout the Midwest, and retail stores in Tulsa, Owasso, SE Tulsa, and Oklahoma City, Oklahoma, Little Rock, AR, and Denver, CO.
3rd Generation History: My grandfather, Frank Epperson, was an army officer who retired and began working at the VA hospital, and began his own painting business after retiring from the military. Frank’s father was a builder and all the children were taught carpentry and painting at an early age. Frank then taught his son, Dale Epperson, the craft beginning at an early age to teach him strong work ethic. After being in the military for years, Dale came home and began his own painting and remodeling company as well. His brother, Delbert, joined him in doing dry wall work. Dale and Delbert then passed this trade on to their children. Jo, Dale, Kevin, Gwen, and Steven, Dale’s children, now have their own company. Steven is the owner and operator of 3rd Generation Painting. Steven was trained by Frank, Dale and Delbert with painting, carpentry, and drywall. Steven currently works with Gwen, Jo, and his mother Joann who are the pillars of 3rd Generation Painting. Steven loves working with his sisters and brother in law, Ronnie, as well as long-time employees who have become like family. The advantage of this team is a cohesive team that utilizes each other’s talents and who you can trust in your home. Steve's Decorating, LLC is your premier painting and wallpaper firm. Our integrity, professionalism, and attention to detail has set us apart from the rest. Give us a call today! The Best Painting Crews In Country. Experts In The Field. With Like New Factory Tight Results At Reasonable Pricing. Paint and wall covering contractors are experts in the specs, application and removal of paint, wallpaper and other wall coverings. They can help you choose the paint color and finish, wallpaper style or specialty covering that best suits the needs of your Glenpool, OK home, whether the job is for the interior or exterior. In addition, they can strip off old paint or paper and prepare surfaces through sanding, skim coating and other processes. Many can handle decorative paint treatments and materials such as plaster. 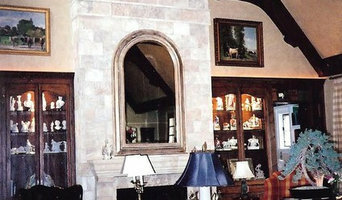 A paint and wall covering contractor might work closely with Glenpool, OK interior designers, builders and others, too. Here are some related professionals and vendors to complement the work of paint & wall covering dealers: Interior Designers & Decorators, Artists & Artisans, Window Treatments, Carpet Dealers. Find a paint and wall covering contractor on Houzz. Narrow your search in the Professionals section of the website to Glenpool, OK paint and wall coverings. You can also look through Glenpool, OK photos to find examples of paint jobs and wall coverings that you like, then contact the professional who worked on them.